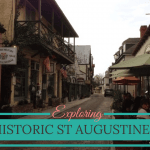 We had ummed and ahhed about where to stop on the Florida coast on our journey from St Augustine to Miami as part of our Road Trip USA Deep South Tour. We were devastated as we had all been looking forward to a long overdue day to relax and do not much and the kids were excited by the pirate ship. We made a quick decision – to cancel the reservation. Since we were going there primarily for the pool, there seemed no reason to still go. If we are going to take it easy for a day in a normal pool, we preferred the idea of heading south where it would be warmer. We rung and thankfully they cancelled the room free of charge. We did lots of internet searching for another affordable hotel with a pirate pool but came up with nothing (there are a few options in Orlando if you are willing to spend more money). We ended up deciding on West Palm Beach instead since it is much further south, a comfortable driving distance from St Augustine and I remembered reading blog posts about it and it sounded nice. A bit random, but it was late and we were exhausted. Fast forward a night and a half a day and we were there. We are happy we decided on West Palm Beach. There are actually two cities which include the name “Palm Beach” – Palm Beach and West Palm Beach. Palm Beach is actually the third wealthiest city in the USA. West Palm Beach started as a working class community to serve its richer brother across the causeway. It is a nice looking, lovely place to base yourself on a Florida holiday, and we quite enjoyed it. 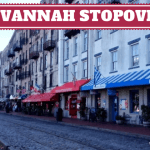 It has quite a few family attractions, such as a zoo and a safari park, but we were here to do not much after three crazy weeks of driving round the Deep South and that’s what we did. Of course, we couldn’t help ourselves but to explore a bit. We checked out downtown. 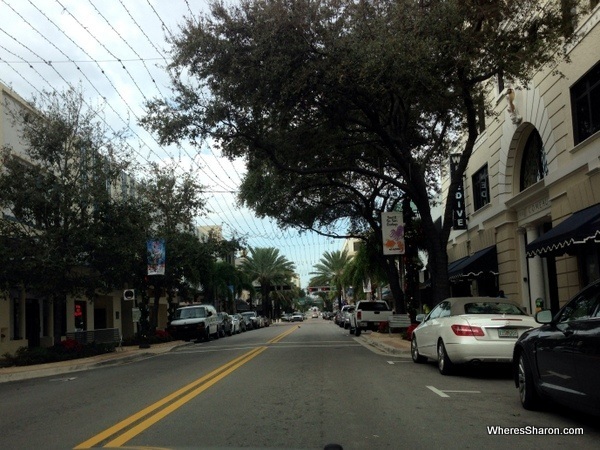 The main street is called Clematis St and we walked along here and the waterfront. Quite pleasant. We drove past the main shopping centre, City Park, which, according to our guidebook, is the number one place locals will tell you where to go in West Palm Beach. We are not shoppers so a drive through was enough. It looked nice if you like good looking shopping centers. We did do some quick clothes shopping at a local Ross store though. S has been begging for a new “twirly” dress and since we are sick of her wearing the only one that meets this category in her eyes on this trip, she got lucky. I also ended up with a new dress, although I felt like I must be anorexic (which I am definitely NOT) when I found out I am an American size one. I am not sure how I have managed to go down to the smallest size in my life while doing a Caribbean cruise and road tripping the USA but it seems it is possible. It must be good for my weight to eat multiple Reese bars a day. Maybe I have discovered a new weight loss trick?! 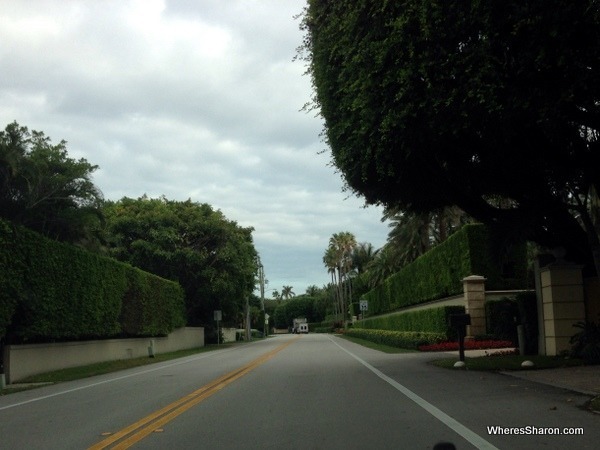 We couldn’t help ourselves but to do a drive along Palm Beach’s seaside stretch of the A1A. Here you will find mansion after mansion and sprawling estates. I always like a good sticky beak and this gave me one. I couldn’t believe how fake real grass can look. There were some ugly mansions, but mostly they were beautiful, although I really hate the idea of private beaches, and I was a bit annoyed by them. This turned out to be one of my favourite kids’ play centres – ever! This indoor play centre is full of all the playmobil you could possibly imagine and then a whole heap more. There are so many tables of different things in different themed areas. There are girl themed castles with princesses or princes and boy themed ones with dragons and fighting. There are different tables suitable for different ages. S loved the more dollhouse section with babies, mummies, pools and cars. Z loved the very boy area of trucks, cars, cranes and bulldozers. My kids are poster children for gender stereotypes. 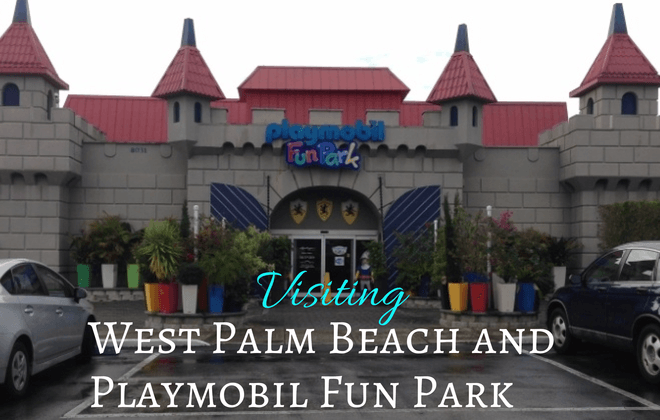 The Playmobil Fun Park is just fabulous and only costs $1 each to enter. It is suitable for older kids too. We were big fans of the adjoining shop as well. I wanted to buy all the playmobil and probably would have if we were heading home. It seemed quite cheap to me even before the 20% discount available for park patrons. Each time we went, the kids got to buy a bit for only a few bucks and we bought Z’s Christmas present here. 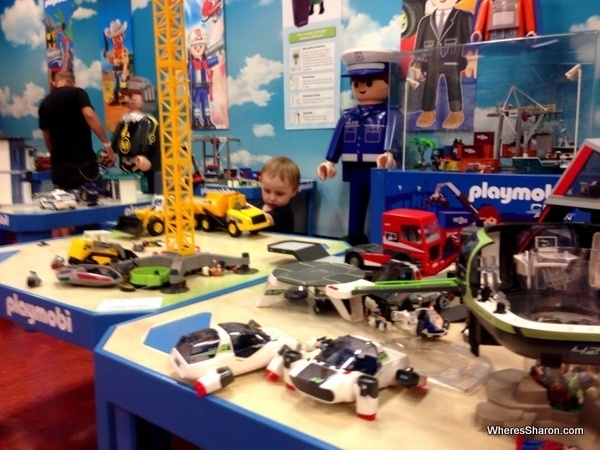 It is a clever layout as it is hard not to want to buy some after having a great time in the Playmobil Fun Park. We actually went back again the next day. 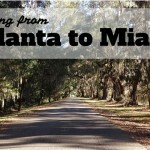 I definitely think this is a must do on any family Florida road trip. 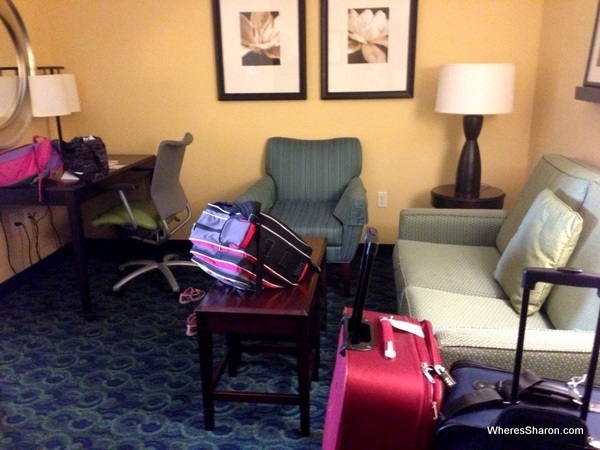 We stayed in a lovely studio apartment at Springhill Suites by Marriott with a kitchenette with microwave and fridge, lounge room area and a nice bathroom. It was soooo good to be sitting on a couch again! The service was top rate, except when we were checking in and they wouldn’t help me sort out a booking a problem. They couldn’t see the booking and they wouldn’t give me access to their wifi so I could access the booking in my email on my phone! It was a bit ridiculous, but I was able to use some computers they had in a business centre to sort it out. There is a great pool and a range of pillows to pick from as well. We spent a fair bit of time in the pool. It was definitely nice to be further south and enjoy things like a pool instead of being cold. 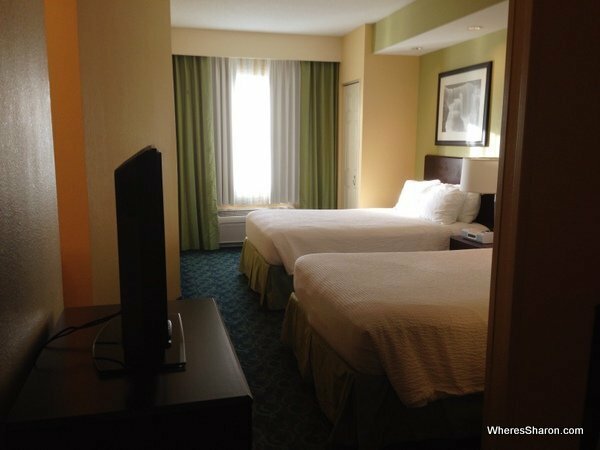 We had wanted something nice after out disappointment with the pirate pool hotel in Cocoa Beach so we went over out usual accommodation budget for this hotel. If you can afford a bit more, this hotel was really worth it though. It came in at $110 including a tax for the suite including a great breakfast. Click here for the latest prices. We were surprised that we actually kept to our $136 a day budget even with the pricier accommodation. We did this by enjoying the included breakfast in the hotel and self catering our other meals. The kids even had playmobil presents as part of our budget. They loved our room, the pool and the playmobil. They are very happy and sleeping extra well here for some reason. I guess S also appreciates a nicer bed, linen and pillows and not having us all in the same room. 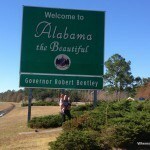 We loved our time here. We didn’t get to see nearly as much of the Palm Beach area as I would like, but it was nice to finally take things a little bit slower. We have been travelling very fast and it has been exhausting. It was nice to just take the time for a swim, and we are so much happier in a nice room. It was so ridiculously nice to sit in a lounge area with lights on when the kids are asleep. We felt like we had a break which is exactly what we wanted. 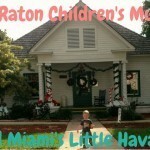 Read about our next stop in Boca Raton and Miami’s Little Havana. Do you like to have break days when you are travelling? For a minute after seeing the photos of the Playmobil Fun Park, I lost the last 30 years and was simply ridiculously jealous of your kids! Lol yeah it is a very cool place. Times like that I am very very happy to be travelling with kids so I have an excuse to play too!